Happy Monday!! This week I have a super exciting set of posts for you all, I'm collaborating with Tobi to bring you all three super cute outfits, ranging from every day to night to formal. 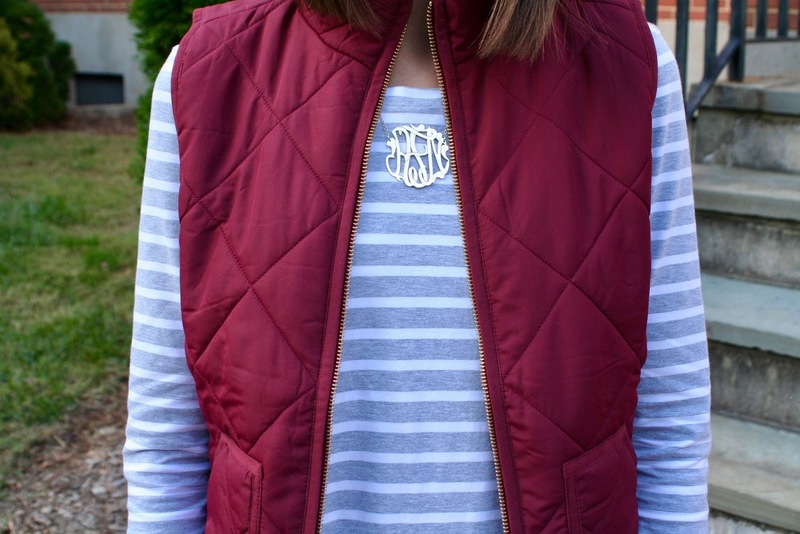 Today's outfit is perfect for a casual day spent enjoying the final bits of fall weather. 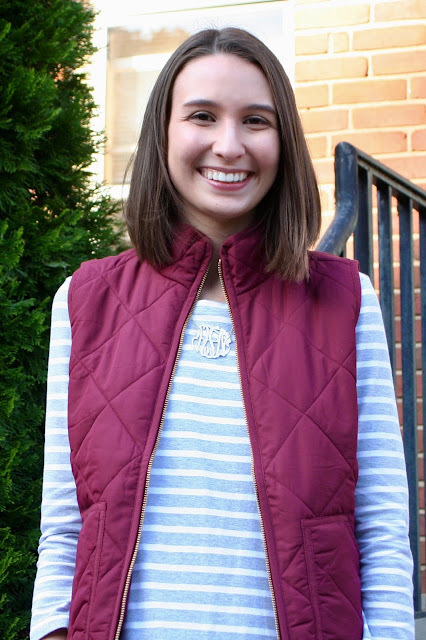 This outfit combines two of my absolute favorite things: stripes and puffer vests. 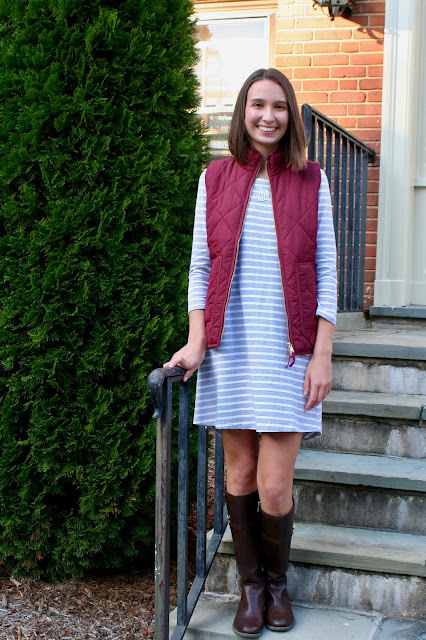 There's nothing better than a classic and comfy stripe dress and I love this one. The three quarter length sleeves make it perfect for the cooler weather and the classic gray stripes make it great for any season. I know this dress will be a staple in my closet for many years to come. 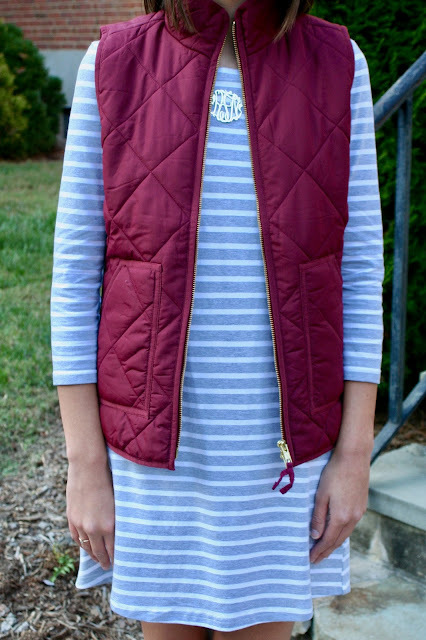 For fall I paired it with a maroon J.Crew Factory vest and some classic brown boots. 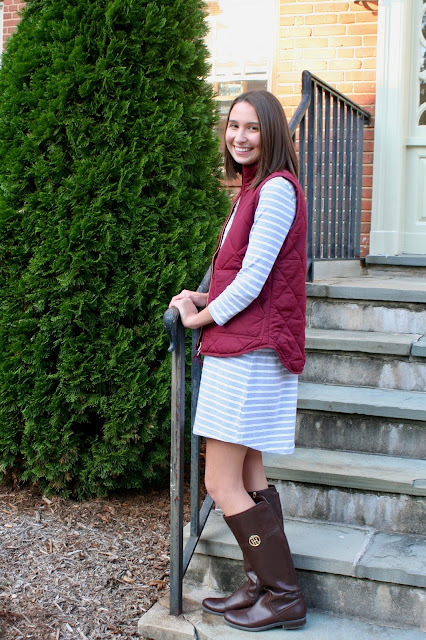 It's a perfect outfit for heading to class or heading out shopping on the weekend! I hope you all enjoyed this post! Make sure to stay tuned all this week for more fun posts with Tobi! You look stunning with this pink jacket. Sharp pink color is my favorite and it is the perfect color to enhance your features and personality.